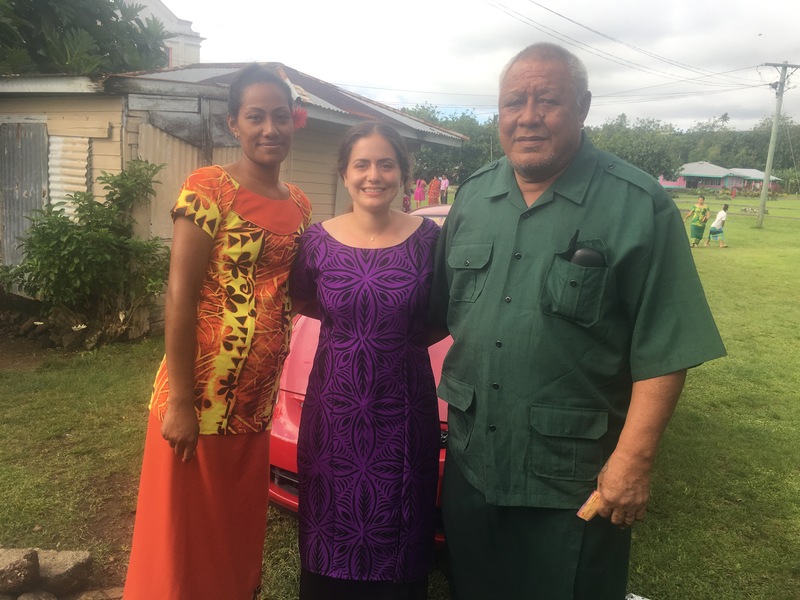 As Pre-Service Training (PST)’s end and our swearing in date gets closer and closer, I’ve been reflecting on how much of Sāmoan culture is based around the family unit. 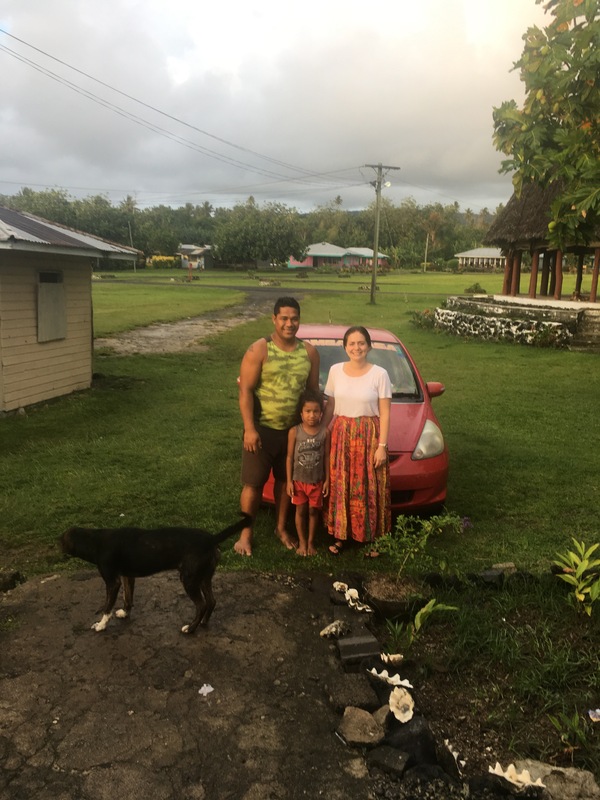 Family is a vital part of life here (as is religion) and being able to live with a host family during PST has provided me with ample opportunities to learn the language and culture first-hand. Tupuola Eteuati, my host father, is a man with a booming baritone voice and a cheeky sense of humor. He’s a matai and is the patriarch of the family, as all of his five living siblings reside outside of Samoa. This is his paternal village and he is highly regarded amongst children and adults alike. (Fun fact: he is 1/4 Danish… his maternal grandfather is from Denmark.) He runs the only shop in our “cul-de-sac” village, which is right outside our house. Once, he told me that the Pisikoa’s (Peace Corps volunteers) have been his best customers and has even let me work in the shop on occasion. Eteuati translates to Edward in English and he’s able to communicate with me in comparable English. He has a Sogaimiti (which is traditional mālōfie tattoo that goes from the ribs to the knees) and it is an amazing thing to see daily, since he usually only wears a shirt when he goes to church. 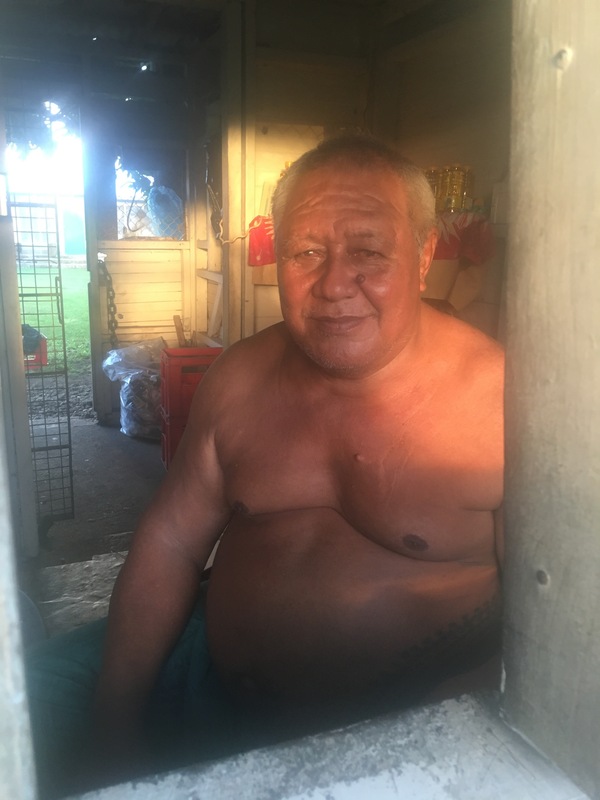 He has been married six times and has seven adult children– all but one live outside of Samoa. Sofia Tupuola is my enigmatic host mother. She is originally from the big island of Savai’i, but has been living here since her marriage to my father in 2003. Sofia has eight children from her first marriage, ranging in ages from 19 until 37. She is president of the village Women’s Committee and goes to bingo six days a week. She also requests to play UNO seven days a week. She’s so energetic and very kind and very, very honest. She speaks some English and has the most beautiful blue eyes! I have two “brothers” (Toimoana and Pele) and two “sisters” (Lafu and Sofia). Pele is my mother’s son from her first marriage. He’s 31 and spends six months of the year working in Australia so I was only able to spend a few weeks with him when I first arrived. Pele is married to Lafu, my elder “sister”. Lafu is 29 and we make each other laugh. She’s originally from the neighboring village, but has been graciously staying here while I’m here to keep me company. They’ve been married for 7 years and their children, Palagi (6), Akenese (5), and Germain (3), or a combination of the three, are often around and I have grown to love them! 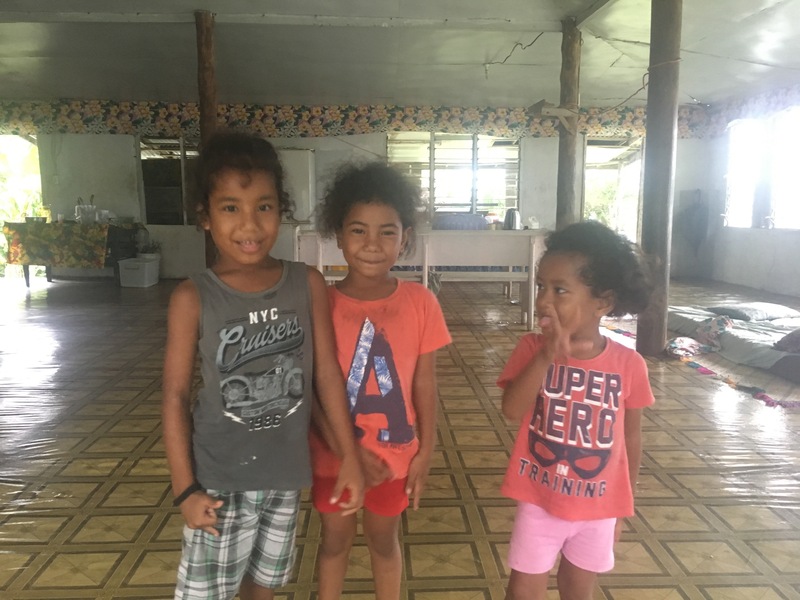 They are rambunctious and funny and coincidentally teaching me basic Sāmoan phrases since Lafu has to repeat herself frequently. 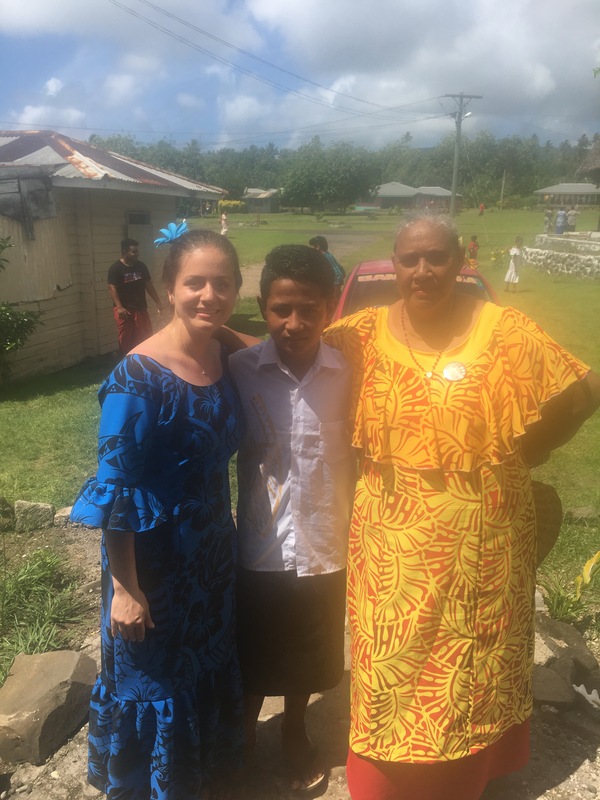 Finally, Toimoana (or just “Moana”…yes, like the movie but he’s a boy…) is 13 and Sofia is 12. Both are my host father and mother’s grandchildren, respectively, who stay here to help. 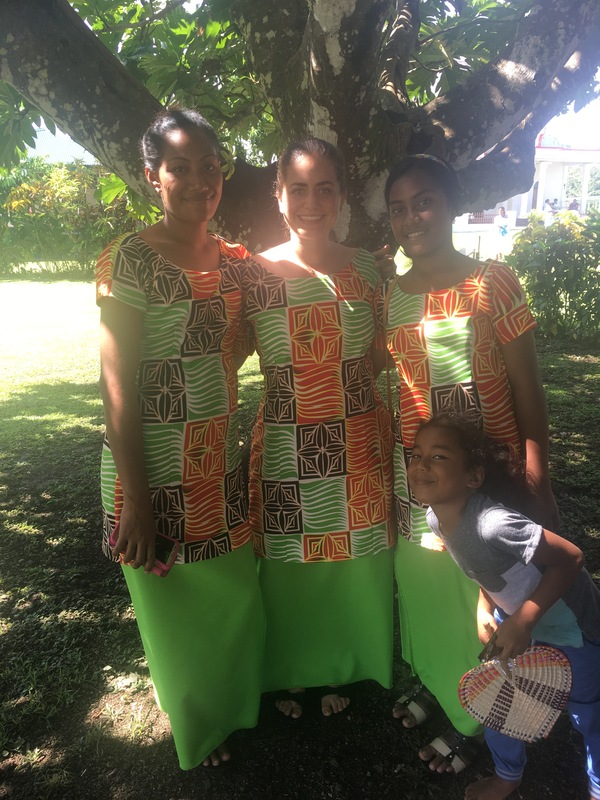 Service and respect is another key point of Samoan culture and particularly emphasized in the family. Moana is a hardworking, bright, mature, and athletic kid. He’s the captain of his year at school and I’m constantly impressed at how often he beats me playing UNO. Sofia Laititi (or “Small Sofia”) is living up to her namesake. She’s sassy, independent, empathic, a happy helper and a beautiful singer. She also loves to braid my hair. It’s so interesting to see how dedicated youth are when serving their elders and especially when seeing a multitude of generational interactions in my one family. I will be sad to leave my family in a few short weeks, but I’m already planning my next visit! Passed my first (of two) language proficiency “exams.” I’m making it a point to practice the language every day and my family has yet to say anything when I accidentally include some Arabic or Spanish. Maaaan, Sāmoan is a tough language! Successfully completed two rounds of Practice Teach. It was great to FINALLY be back in a classroom and a refreshing reminder of our purpose as to why we are here. It’s easy to get caught up in all of our trainings, so it was so wonderful being able to be in my niche. Experienced my first earthquake (6.3 magnitude). Not much to say about this except that it is scary. It also happened while I was at bingo with my family… no one got up. No one moved. Except me. That’s how serious people take bingo is here. 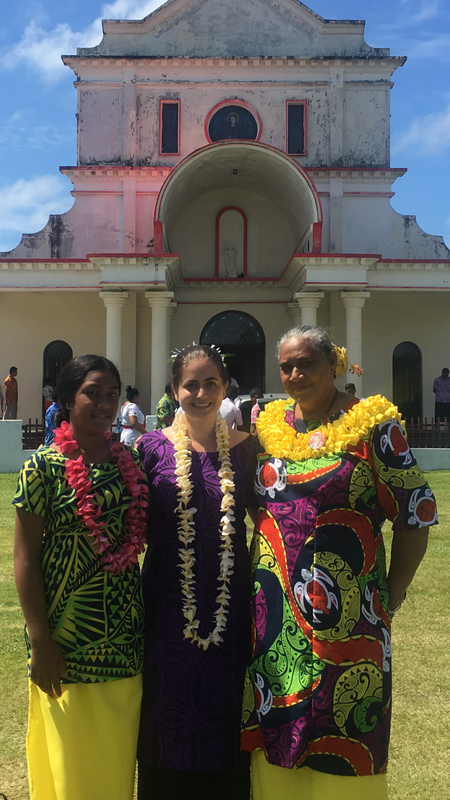 Visited a current PCV on the other (“Big”) island of Savai’i to gain some more insight as to the actual day-to-day life of a volunteer in action. It was great to pick her brain and hear all of her sound advice and recommendations– from the best restaurants in Apia to how to best prep my future Samoan classroom. I also feel like I gained a friend in the process. Thanks for everything, Sam! LEARNED MY PERMANENT SITE PLACEMENT!!!!! I’m not allowed to divulge any information just yet, but after experiencing a range of emotions (mainly, my first cry in country), I am excited to go and *be* there — in the complete sense of the word. This opportunity is amazing! Wow 2 months filled with many things – from adjusting to the culture filled with new habits language traditions and dealing with life simplistic ways of living , but being serrounded by a family who embraced you and let you be part of there’s that is beautiful. Your adventures and experiences for the next 2 years will be a trussure that you will never forget and I’m sure you will also leave your print in theirs .